A person with direct knowledge of the move told The Associated Press on Saturday that Ennis was put on buyout waivers at noon. The person spoke on condition of anonymity because the transactions had not been announced. Minnesota saves more than $2.4 million against the $79.5 million salary cap next season by buying out the final year of Ennis’ contract. 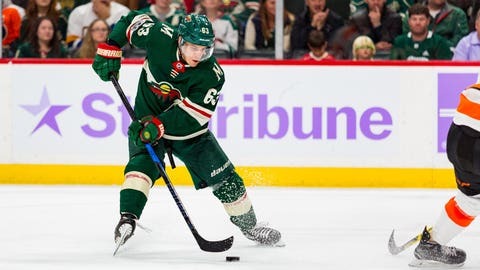 The 28-year-old, who was due to make $3.65 million and count $4.6 million on the salary cap, had 22 points in 73 games with the Wild after being acquired from Buffalo a year ago. Ennis has 258 points in 492 games and could be a valued free agent addition for a team looking for depth down the middle.